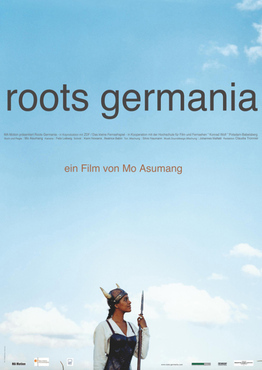 The Grimme award nominated documentary “Roots Germania” was directed by Mo Asumang, the daughter of a German and Ghanaian. She decided to search for her own roots and identity, after she received a death threat by the neo-Nazi band White Aryan Rebels, who sing in one song: “This bullet is for you, Mo Asumang.” Her search leads her through Germany and then to Ghana, where she speaks with family and friends, but she also engages with NPD party representatives and racist groups to ask questions many would not dare to ask. In cooperation with the Black German Cultural Society, NJ (A New Jersey nonprofit organization) and the Friedrich Ebert Foundation. The Black German Cultural Society, Inc. is excited to announce its First Annual Convention to be held from August 19 to 21, 2011, at the German Historical Institute (GHI) in Washington, DC. With the theme of “Strengthening Transatlantic Connections,” the convention will host guests and presenters from our international community in Germany and the United States. In cooperation with the Humanities Council of Washington, DC, the convention will also feature an award ceremony for Hans J. Massaquoi, who will be given the “Champion of the Humanities Award” in honor of his lifetime achievements as an author, journalist, and cultural ambassador. Accepting the award at the convention on behalf of Mr. Massaquoi will be his son, Hans J. Massaquoi, Jr.